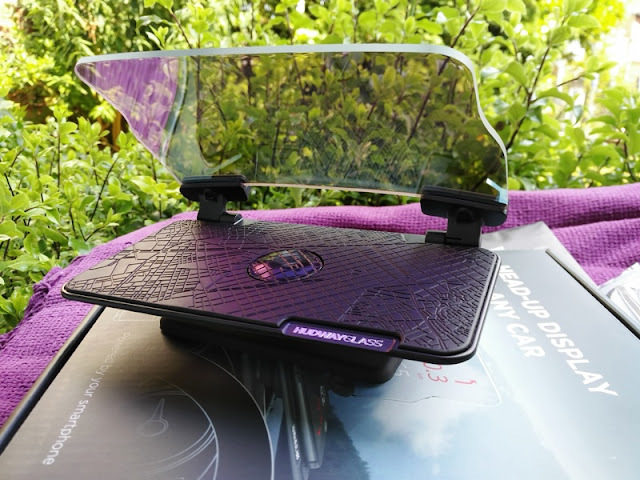 A heads-up display (also known as HUD) comes handy particularly when the speedometer of your car is hard to read or when the speedometer is out of calibration! 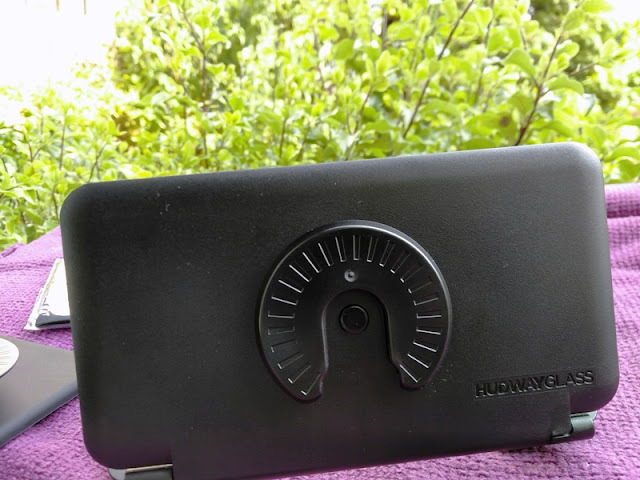 With a heads-up display like the Hudway Cast or Hudway Glass Car HUD, you can display in your field-of-view the speed as well as other navigational information. 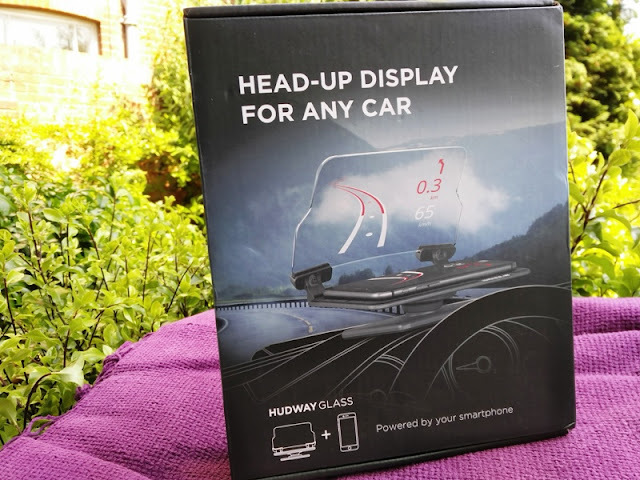 The Hudway Glass works similarly to HUD mode apps but instead of reflecting information on your car's windscreen, the information is reflected into a dedicated transparent acrylic glass panel. 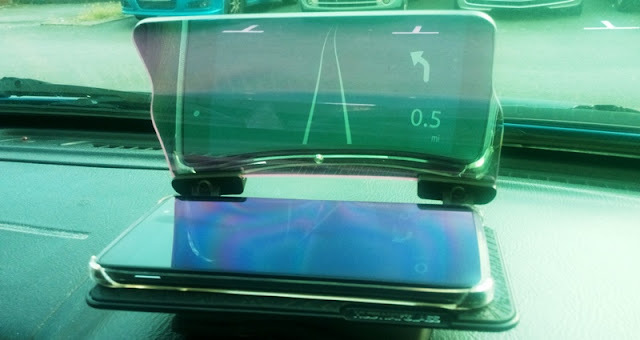 The Hudway Glass Vehicle-Mounted Head Up Display essentially consists of a folding clamshell cradle with a reflective plexiglass display and a rubberized, non-skid base where your phone sits in securely. 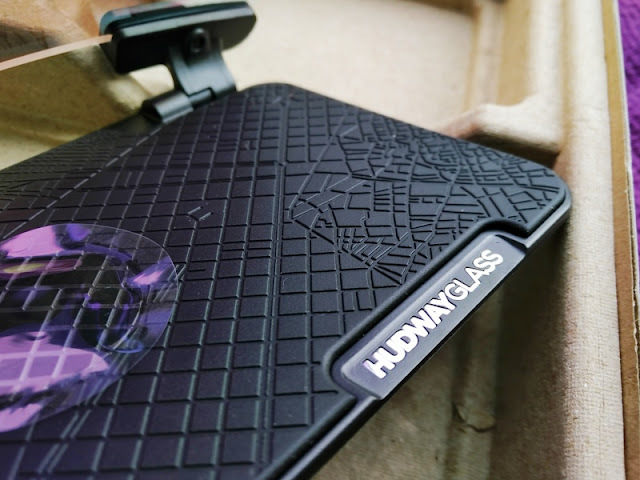 The rubberized base of the Hudway Glass also has a sticky circular gel pad that further adheres your phone to the cradle so the phone doesn't slip off. 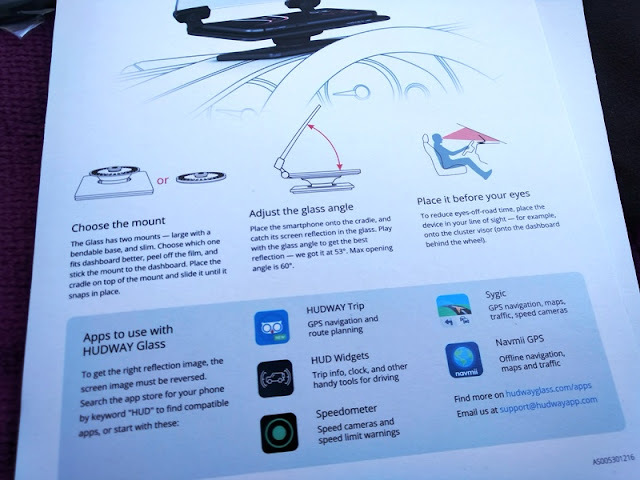 When fitted to the dashboard, the Hudway Glass projects the view from the phone display. 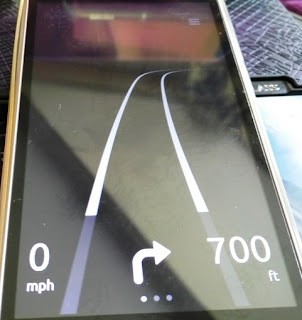 The unit itself remains securely to the dashboard even when cornering, which is great. 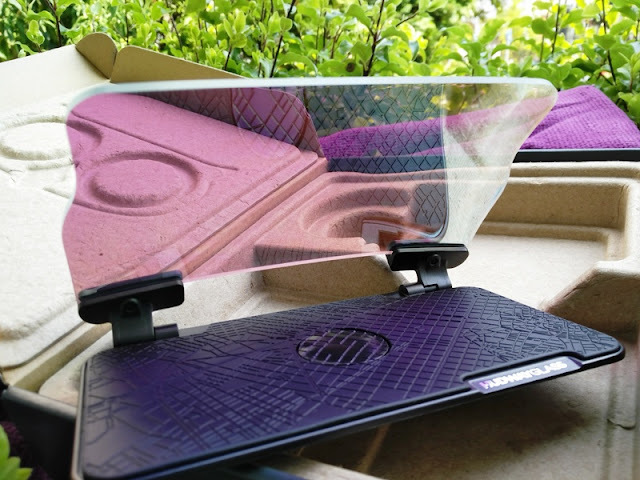 The flexible sticky pad where the Hudway Glass is mounted allows you to fit the Hudway Glass anywhere on the dashboard of your car. 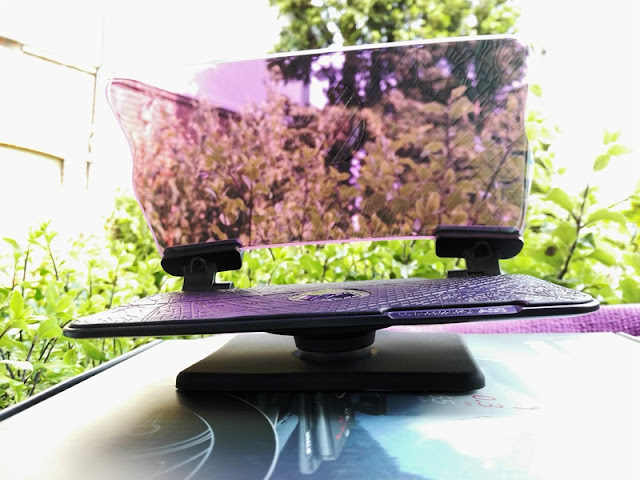 Once sitting on your dashboard, you can angle the Hudway Glass display to adjust the reflection. 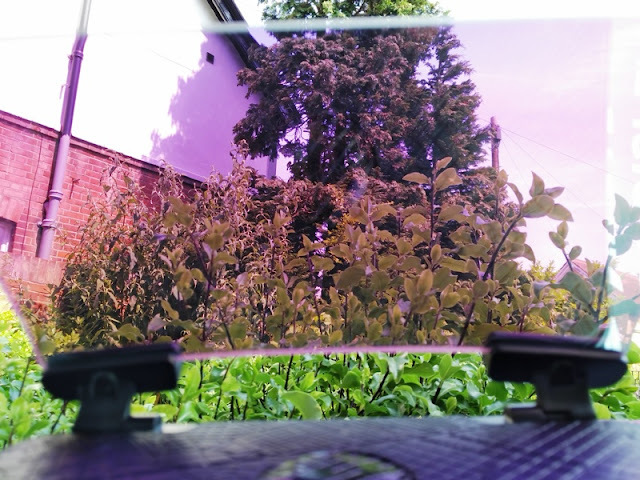 The plexiglass display on the Hudway Glass basically acts as a glass magnifier, making the image on your phone larger for you to see. 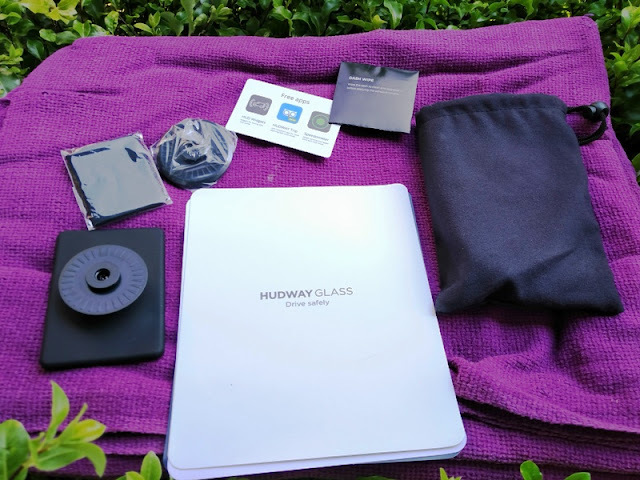 The brightness of the Hudway Glass display is manually adjusted via your phone's brightness settings, allowing you to adjust the reflecting light for daytime and nighttime. 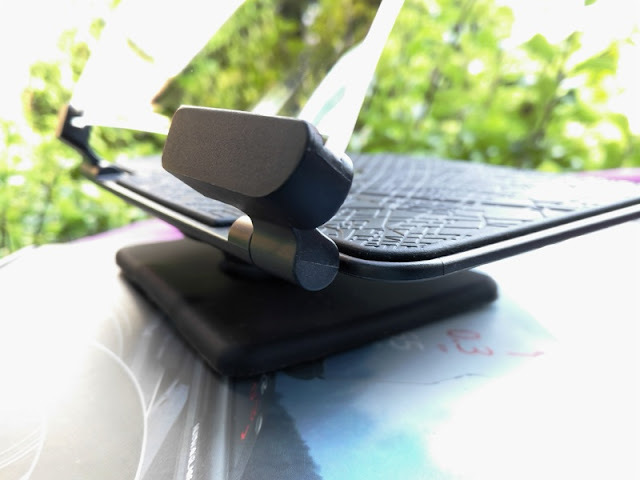 Inside the box, you get an adjustable mount with bendable base, a slim mount, a soft pouch, a wiping cloth and a quick start guide. 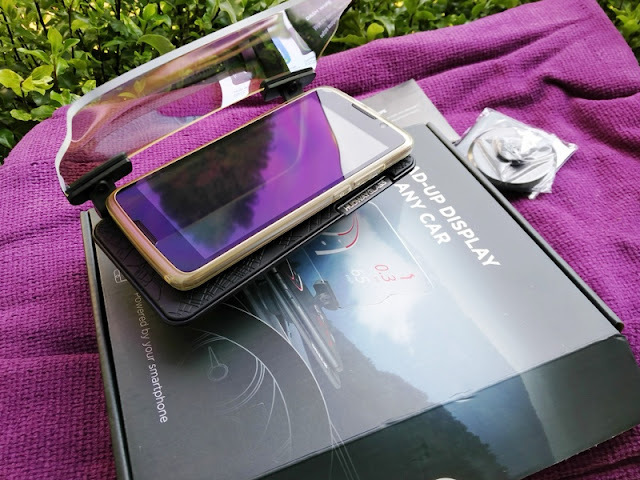 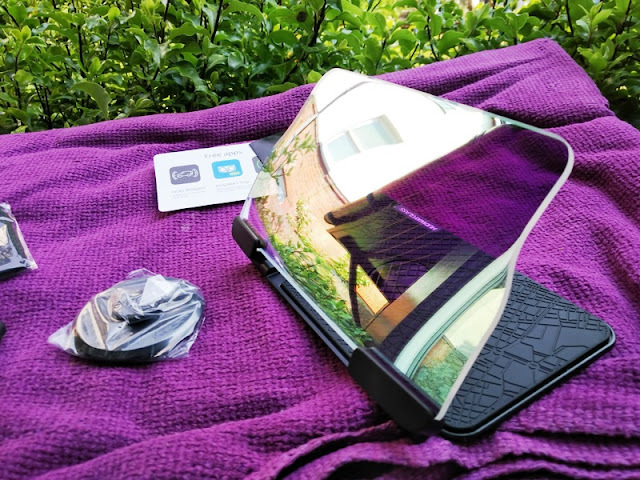 During the daytime,the anti-reflective coating on the Hudway Glass tints the display with a purplish hue that helps to minimize sunlight and glare. 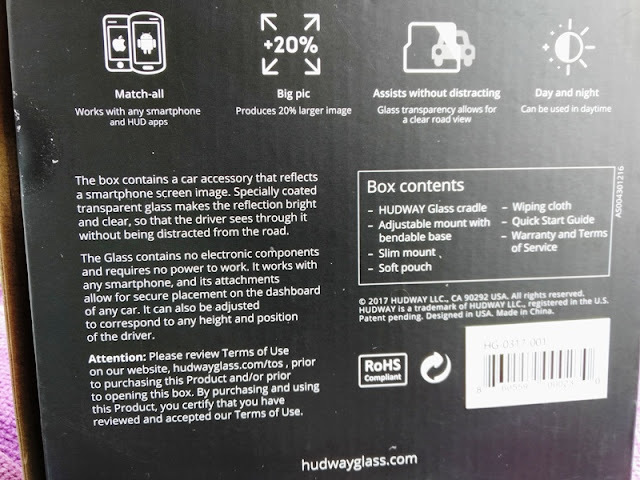 At nighttime, the reflection on the Hudway Glass display is doubled so you get a reflection on the display of the Hudway Glass and the windshield of your glass. 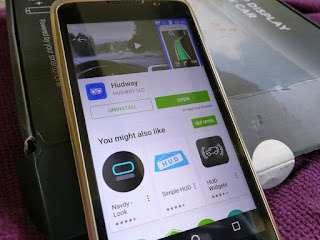 Hudway Glass works with several companion apps such as HUD widgets, Hudway Trip and Speedometer. 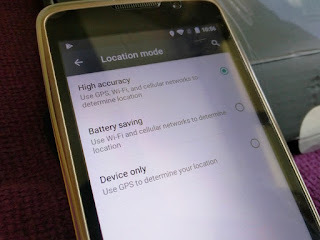 When using the Hudway Glass as a map navigation, you will need to turn "High Accuracy" from "Location Mode" of Android settings in order for the GPS to register your location. 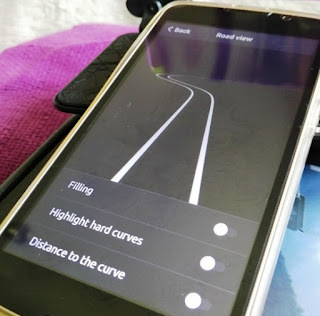 For an additional fee you can unlock "voice assistant" as well as an improved version of the basic map, which highlights sharp bends in the road and how long the bend is. 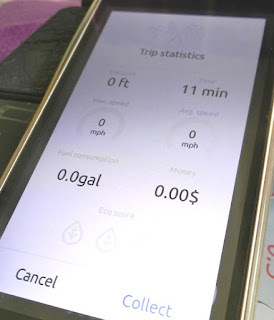 From the Hudway Trip app, you can also check the stats after the ride like maximum and average speed, acceleration, trip distance and duration. 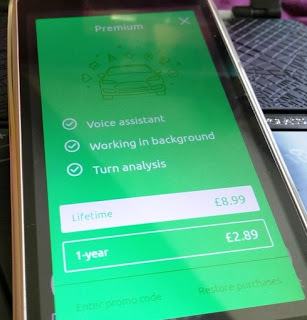 You can even collect miles and get bonuses, as well as save and mark favorite routes so you can drive them later offline. 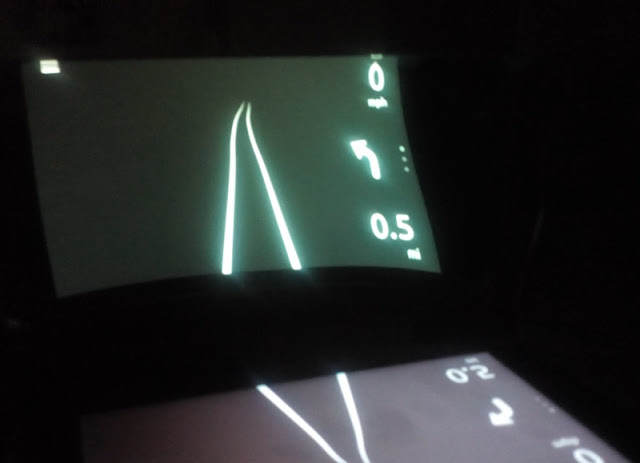 You can also drive in map mode or HUD mode. 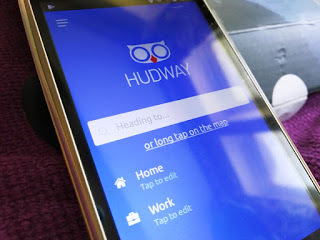 The Hudway Trip app works off Apple Maps, Open Street Maps and Google Maps. 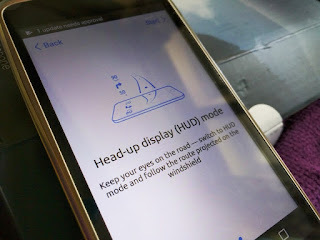 You can use other navigational apps with the Hudway Glass though the apps have to be heads-up display enabled because otherwise the information on your phone will show up the wrong-way around on the Hudway Glass display. 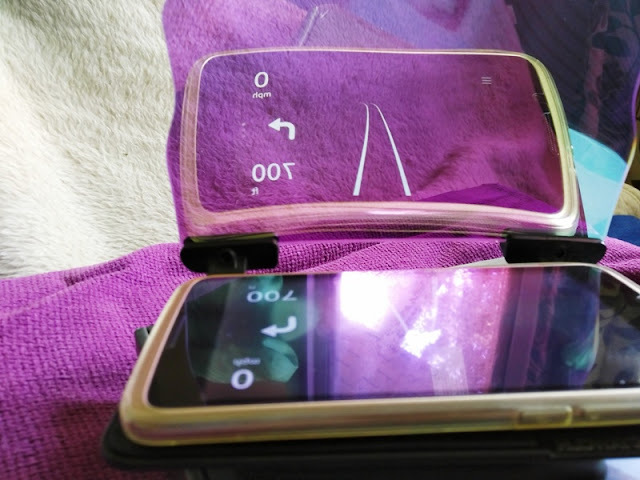 The companion apps that come with the Hudway Glass are heads-up display enabled, which is a feature not all navigational apps have and what this feature basically does is turn the display on your phone upside down so it can reflect right-side up in the Hudway Glass display.